When the president mulls filling a Supreme Court seat, the whole country watches. When he appoints a federal judge, few take notice. There are, after all, hundreds of federal judges. Yet these appointments, too, are for life. And because the judges wield significant power, they are at the core of a president’s legacy. In this explainer, we discuss how the federal courts work, their mandates, and how judges are appointed. Federal courts have jurisdiction over a wide variety of crimes and civil disputes outlined in the Constitution and other federal statutes, including election fraud, weapons trafficking and terrorism. They hear cases that cross state and international borders and bankruptcy claims. The federal criminal code is vast and often overlaps with state codes, sometimes allowing both to try a case. For the sake of clarity, here’s an example: If you hijack an airliner, you will be arraigned in a federal court. If you hold up a 7-Eleven, your case will be heard by a state court. In 2016, federal courts processed approximately 354,000 criminal and civil filings, 55,000 appeals and 834,000 bankruptcy petitions, according to UScourts.gov, an educational website run by the Federal Judiciary. Under the Constitution, the Federal Judiciary is a branch of government equal in power to the legislative (Congress) and executive (the president and cabinet) branches. The Federal Judiciary operates 94 district courts, each with a roster of judges who hear cases before a jury. The districts are organized into 12 regions (sometimes known as circuits), each of which has an appeals court. Appeals courts (also known as appellate courts or circuit courts) do not try cases, but determine whether the law was correctly applied at the district level. These cases are heard without a jury before a panel of three judges. There is one other federal appeals court: The Court of Appeals for the Federal Circuit, in Washington D.C. Sometimes known as Federal Circuit Court, it has nationwide jurisdiction but only hears specialized cases, such as those involving patents and trade. If the plaintiffs or defendants are unsatisfied with the decision of an appeals court, they can request their case be heard by the Supreme Court, which has nine justices and is the final arbiter. If the Supreme Court declines to hear a case, as it must do thousands of times a year simply because of its limited resources, the appeals court’s decision is upheld. There is no fixed number of federal judges. Instead, the body has grown since the Constitution was adopted in 1787 to reflect America’s growing population and caseload. Judges serving in district and appellate courts and the Supreme Court are known as Article III judges. Under rules established by Article III of the Constitution, they are appointed for life, until they retire or die. In 2016, there were 860 permanent Article III judgeships, according to official tallies. There were another 20 “Article I” judgeships – judges who are assigned to fixed terms and preside over other federal courts, including the Court of Appeals for Veterans Claims, Court of Appeals for the Armed Forces, the U.S. Tax Court and courts in territories such as Guam and the Virgin Islands. With so many federal judges, there are almost always vacancies. Judges retire. It can take months or longer for replacements to be appointed. Sometimes Congress, nodding to the expanding population, creates new positions. To fill a seat, the president starts with a nomination, often of a judge from a lower court. The Constitution instructs him to do this “with the advice and consent” of the Senate, which votes on the appointments. The Senate approved 334 of Barack Obama’s court appointments, according to an official count, and 340 for George W. Bush. Many more never received a vote, according to this list of unsuccessful nominations compiled by the Federal Judicial Center, a nonpartisan research organization at the Federal Judiciary. As of August 2017, five of President Trump’s appointees had been confirmed, including Neil Gorsuch to the Supreme Court. Judges, says the Constitution, “shall hold their offices during good behavior” and can be removed by Congress. In practice, Congress has impeached only 15 federal judges over the years for charges like abuse of power, corruption, practicing law while sitting on the bench, and drunkenness. UScourts.gov lists federal judicial vacancies here (including nominees awaiting confirmation), how much they are paid here, and who has been confirmed by the current Congress here. A list of all federal courts, with links to biographies of each sitting judge, is available here. A U.S. attorney is a prosecutor representing the Justice Department’s interests — the interests of the Executive Branch — in federal court. He or she is appointed by the president to one of the 94 judicial districts for a term of four years and is confirmed by the Senate. (Guam and Northern Mariana are served by a single U.S. attorney.) A president can remove a U.S. attorney at any time. In mid-2017, a large number were working in an acting capacity as they were either holdovers from the Obama administration or had not yet been confirmed by the Senate. A list of U.S. attorneys with contact information is available here. An official manual describes how U.S. attorneys — who, by the way, may have staffs of hundreds — should perform their jobs. Each state has its own judicial system, usually consisting of trial courts, appellate courts and a supreme court. In Florida, for example, some trial judges are elected by popular vote; some are appointed by the governor from a pool selected by a nominating commission. In Illinois, they are chosen by popular vote for fixed terms. 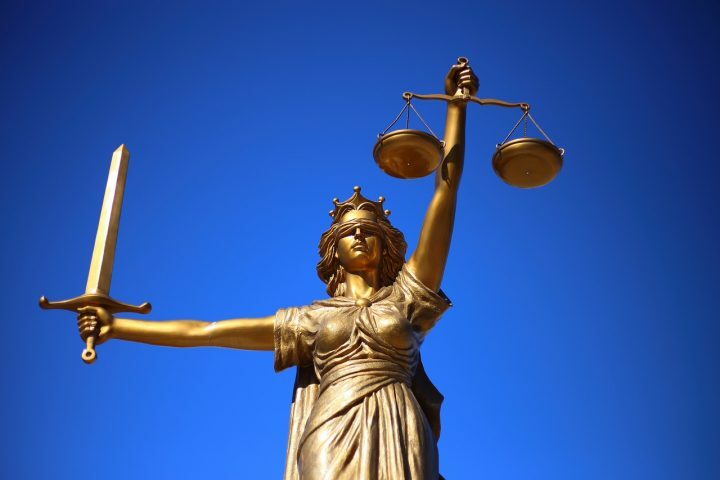 The National Center for State Courts (NCSC), a non-partisan research and education organization, has data to help you navigate and compare the different systems. NCSC also has a guide to judges’ salaries and many other aspects of the states’ legal systems. Resources available for researching individual cases include case records at UScourts.gov and its specialized database, PACER. The Federal Judicial Center keeps a record of every federal case and publishes related research. Courtstatistics.org, from the NCSC and the Conference of State Court Administrators, is an interactive database of state case data. The Bureau of Justice Statistics also has an online database of state court data. Cornell Law School’s Legal Information Institute hosts the federal legal code and other legal documents. Its Oyez project publishes Supreme Court rulings. The Federal Judiciary also publishes a glossary of relevant legal terms. USA.gov, an interagency federal project run by the U.S. General Services Administration, publishes federal laws and regulations. Journalist’s Resource has a literature review on politicized federal courts, a research brief on the changing relationship of Congress and the Federal Judiciary, and a syllabus on covering the judiciary.